Written for the carol service at St John’s, West Ealing in 2017. 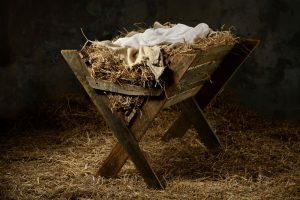 Performed by three speakers each holding out a box representing one of the gifts, and placing them in an empty manger at the end of each voice. I have set this to music as "Epiphany song". I expect to record it in due course but a lead sheet of melody and chords is available from me by email here. © Godfrey Rust, godfrey@wordsout.co.uk. See here for details of permissions for use.